Gustavo Diaz routinely patronizes Stearns Bank’s Sarasota location because of his business and personal banking accounts. He has received lines of credit, home equity loans and also took advantage of the Hurricane Relief Express Loan with Stearns Bank after Hurricane Irma affected his business in September 2017. Gustavo, who owns Gustavo Diaz Cleaning Services in Sarasota, has known branch manager Linda Fasanelli since 1998 and considers her a friend. 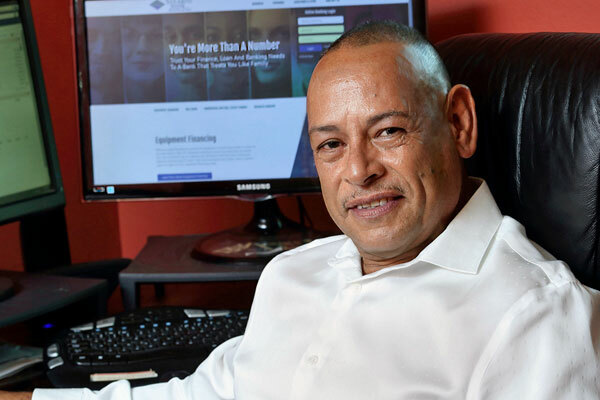 Gustavo likes the personal attention that Stearns Bank gives his business and family. “I have my personal and business accounts there and my son and daughter have accounts at Stearns,” Gustavo said. “We stay with Stearns Bank because the customer service is really important to me."